Our local network groups, with 6-8 church planting spouses in each group, create space for women to be renewed and restored. Cohorts normalize the confusing and often painful experiences of ministry, inviting women to entrust their lives to the Guardian of their souls and each other. As trust is built and hearts shift, women begin to move from a life of fear to one of freedom, transforming how they live in community as kingdom-building partners. Groups of 6-8 participants create space for women in church planting to be renewed and restored. They normalize the confusing and often painful experiences of ministry, inviting women to entrust their lives to the Guardian of their souls and each other. Good food, safe space, and practical tools to bring your heart back to the gospel. Groups provide ongoing deep connection with trusted companions as well as just-in-time training for current issues facing church planting. 6-8 women, 9X a year. Led by someone who is further down the road with a heart to bring you along - you'll walk away with 6 practical tools and a network of friends who know what you're going through. Virtual groups are a great option if local groups aren't available or don't work out for you. The same great content and the same great connections (you'll just have to bring your own food). 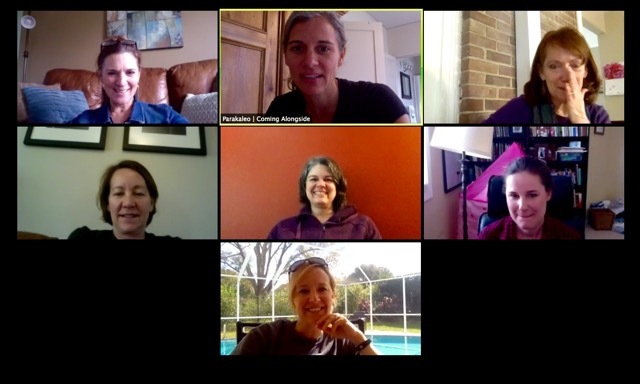 4-6 women meet monthly through a video conferencing app over the course of the year. Meetings last about an hour and a half. Virtual networks have an average size of 4 women and meet twice per month. Registration is now live! Local networks have an average size of 8 women and meet monthly throughout the year. Would you like more information about a local or virtual group? Where are our NETWORKS & groups?